At Minnesota Leafless Gutters, no one ever comes to us really excited about buying gutters. Our typical customer will ask which gutter will do the best job at the most affordable price. So then we have to have a conversation that, long story short, leads to us coming out to your home, taking a look at your house, talking with you about your budget, and finding the right solution that meets your needs with both quality and affordability. If you need new gutters in the St Paul or Eagan, MN area, look no further than the trusted professionals at Minnesota Leafless Gutters. The type of material you choose for your gutters will almost always affect the price. 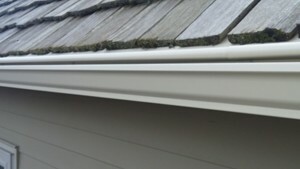 So if you are looking for the bottom line, absolute cheapest material in the market, aluminum gutters are it. However, it is not always the right choice for northern climates. Aluminum has a tendency to expand more than steel and copper. It is also not as strong, making it much easier to dent and become damaged during a storm. So in the long run, is it cheaper to choose aluminum? Probably not. While aluminum lasts about 15 years, steel gutters may last a bit longer if maintained properly and copper gutters can last over 15 years. So, which will be more affordable in the long run? It’s still hard to say. Steel gutters can handle the snow and icy conditions that aluminum just can’t, but it requires some maintenance as it will rust over time. Obviously, there are not many downsides to choosing copper gutters as it is the strongest and most durable material on the market. However, it is much more costly than steel or aluminum. No matter what type of material you choose for your gutters, you will receive nothing but absolute quality and perfection when you choose Minnesota Leafless Gutters. Installing affordable gutters for our neighbors in St Paul and Eagan for over 17 years, we have an enormous amount of experience to ensure a quality installation that is affordable. We are so confident in this that all of our services are backed by a lifetime transferrable warranty for labor and materials. For more information or if you’d like to come and have a conversation about the best, most affordable gutters for you, contact Minnesota Leafless Gutters today. If you live in St Paul or Eagan, MN, contact us at 612-221-0362.